Through each step of our beekeeping and honey producing process, we ensure our top-quality honey maintains its clarity and flavor. 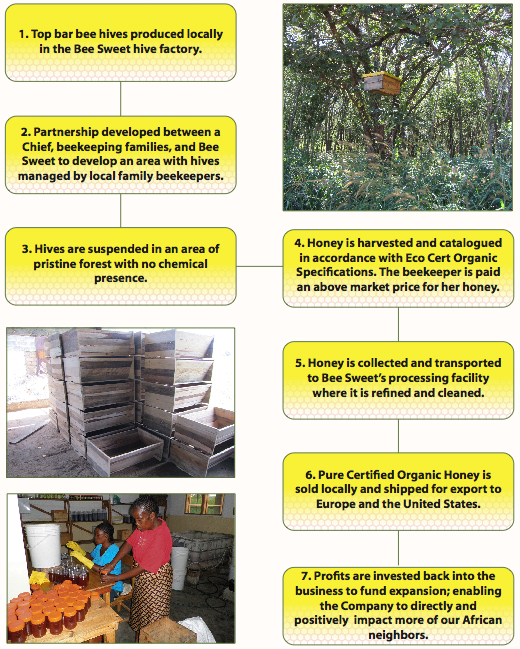 We build state of the art, top-bar hives in our BeeSweet hive factory located in Central Zambia. These hives are designed to improve on traditional African beekeeping methods, which involve a "bark hive." This method kills trees and results in dirty, dark, smokey honey. Our hives are sustainable, permanent, and help to maintain purity throughout the process. Our honey is hand-harvested by over 12,000 small-producing beekeepers and delivered in its raw form to our plant in Zambia where it is processed and packaged. 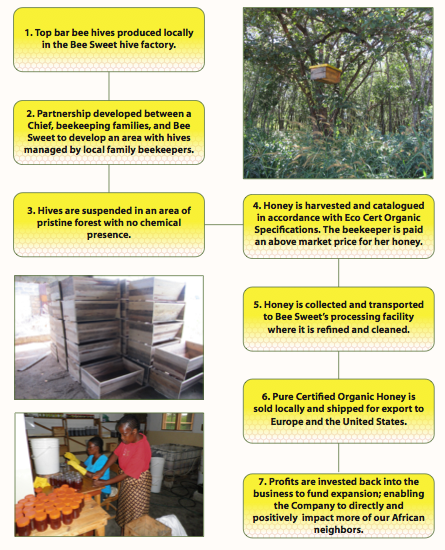 Bee Sweet will pay over $300,000 USD to our local villager beekeeping partners in 2017. This is another milestone towards our goal of creating sustainable income for a historically impoverished population.